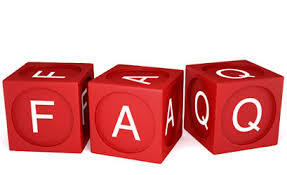 Here you will find answers to frequently asked questions about life insurance. If you do not find an answer to your question here, please call our toll free number at Toll Free 1-800-503-6140 #223 8:30am-8:30pm Monday-Friday and Robert (Bob) Lemieux will be happy to help you. Why should I purchase my term life insurance from Ottawabroker.com? Ottawabroker.com provides you with all the tools you need to make a sound term life insurance purchasing decision. We offer you access to over 25 life insurance companies. (one of the largest databases available) Fast online term life insurance quotes, easy to follow instructions, and we pride ourselves in providing you with the highest level of service in the life insurance industry. Never has purchasing term life insurance been more convenient and economical. Our large carrier database means No One offers you lower premiums. It is an insurance policy covering one’s life for a specified term (years), and is offered with guaranteed premiums for spans of 10 to 100 years. Term life insurance differs from whole and universal life insurance in that it does not have an accrued cash value. Whole life insurance is so called because it provides the insured with permanent protection for the “whole of life.” Whole-Life provides you with protection, but it also builds cash value and does not have an expiration period or “term”. Whole life insurance is typically more expensive than term insurance because part of the premium you pay to the insurance company on a whole life policy is invested in stocks, long-term bonds, mortgages and other assets that can appreciate in value and generate income over time. The “cash value” in this policy is built up from the income on these investments over time. You can borrow up to the full amount of your cash value for any purpose. You can also use the policy dividends paid annually to cover some or all of your policy premium. At retirement, you can convert your accumulated cash value into an annuity, which would provide you with a guaranteed monthly income for life. Universal life is a variation of whole life insurance characterized by considerable flexibility. This variation of permanent insurance allows you, after your initial payment, to pay premiums at any time, in virtually any amount, subject to certain minimums and maximums. You also can reduce or increase the amount of the death benefit more easily than under a traditional whole life policy. In comparison to whole life, universal life offers you a guaranteed interest rate similar to that of a whole life policy, but if the insurance company earns a higher interest on the money invested, it will credit you with the higher rate. For example, if the insurance company earns 10%, you will get 10%, but if it earns 2% or even loses money, you are still guaranteed to get the policy minimum, usually around 4% to 5%. How do I pick a term life insurance company? Term life insurance is a very straightforward product that varies very little from company to company other than by price. At Ottawabroker.com we have made the choice very easy for you by limiting our database to contain only term life insurance companies that have been assigned a Superior rating of A- or better from A. M. Best. So you only have to determine the maximum coverage amount and level premium guarantee that you can afford. How do I determine my term life insurance coverage amount? Each family’s situation is unique from every other. Because of this, there are no absolute rules for determining how much term life insurance you should purchase. Buying the right amount of term life insurance involves answering an uncomfortable question: How much money would your dependents need if you were to die prematurely? The answer will likely be more than you think. Major personal finance magazines recommend a life insurance coverage amount from 5 to 10 times your annual earnings. For business life insurance it is best to consult with your accountant. Use our life insurance needs calculator to help you estimate how much life insurance you need. It is the guarantee that your term life insurance premium will not increase (remain level) for the term of your policy. A very important note to visitors of Ottawabroker.com: Many other term life insurance quotation services will quote non-guaranteed premium policies to their potential clients. With non-guaranteed premium policies, your premiums can be raised after the initial level period, usually 5 years. Don’t be fooled by savings of a few dollars per year, insist upon guaranteed level premiums. The general rule that we recommend is to purchase a term policy that matches the number of years that the coverage is required. If you are protecting the future of your young family then you would consider a twenty or 100 year term life insurance premium guarantee..
Medical Underwriting is both a physical and lifestyle assessment of your profile made by the term life insurance company. Many factors are considered when the Insurance Company determines whether you fit the Preferred Plus, Preferred, or Standard classifications. The following tables, Height and Weight Guidelines and Medical Guidelines, offer basic guidelines as to how most companies will classify you (preferred plus, preferred, standard) based on medical and personal issues. If you do not meet one or more of the requirements listed in the preferred or preferred plus columns, Standard classification will be calculated for your quote. A very important note to visitors of Ottawabroker.com: Some other term life insurance quotation services will quote ALL their potential customers at the Preferred Plus classification in order to present the lowest possible premiums. The problem with this practice is that most individuals (about 80%) do not qualify for this classification and are not made aware of this until they are presented with higher rates after waiting several weeks to months of the term life insurance underwriting phase. Don’t let this happen to you. At Ottawabroker.com we present you with the lowest priced premium quotes for your profile. Do I have premium payment options other than annually? All Ottawabroker.com online quotes reflect annual term life insurance premiums. Annually paid premiums provide for the lowest rates overall. However, you also have the option of making term life insurance payments monthly, quarterly, and semi-annually. Monthly term life insurance payments are arranged to be automatically debited from your bank account. These payment options are slightly more expensive on a monthly basis. Whether or not a life insurance company requires a medical exam from people who are applying for insurance really depends on the company’s underwriting requirements. Insurance companies’ criteria are based on how old you are and how much insurance you’re applying for. Generally, an adult in their mid-30s applying for $100,000 of life insurance would not need to undergo a full medical exam, but might need to have urine and blood samples taken. Some companies require at least a urine specimen from everyone applying, no matter what the amount of the policy is. If you need a 10-20 year Term insurance [25,000min-250,000 max] are in good health, Federated Life offers no medical, no waiting, or blood test, and approval in only 20 minutes! Underwriting begins when we receive your signed application in our office. Typically, underwriting is a 4 to 6 week process, but there may be slightly longer periods in certain cases. How quickly do insurance companies usually settle life insurance claims? 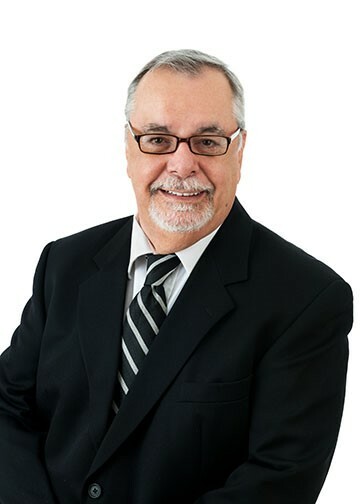 Jack Dolan, a spokesperson for the Canadian Council of Life Insurers, says that once an insurance company receives a death certificate proving the death of the insured, the beneficiary usually receives a death benefit within one week. However, if an insured dies within two years of buying a policy, and the insurer conducts a follow-up investigation to see if the death was caused by suicide, or if there is reason to suspect the insured lied on the application, it could take 30 to 45 days before a death benefit is paid, according to Dolan. Most life insurance policies have an “incontestable clause” that states an insurer can refuse to pay the death benefit if it finds that the insured lied on his or her application. For example, if an insured died of lung cancer within two years of buying the policy, and the customer wrote on the application that he or she did not smoke, the insurer may have grounds to deny the claim based on the results of an investigation. What is the Difference between a 5-10-20-100 year term? A 5 year term renews every 5 years. This type of term insurance is almost gone; insurance companies don’t offer it anymore because it is too expensive for the consumer. Imagine, your premium almost doubles every 5 years – stay away from a 5 year term. A 10 year term renews every 10 years and makes more sense than a 5 year term, but still isn’t not cheap if you need it for more then 10 years because it will triple every 10 years, especially if you are 50 years or older. A 20 year term renews every 20 years, when you need the insurance for more than 10 years and if you are insuring a mortgage. A term 100 is guaranteed for life, the premium will never go up, if you are 45 and older or if you want to keep the insurance for life.